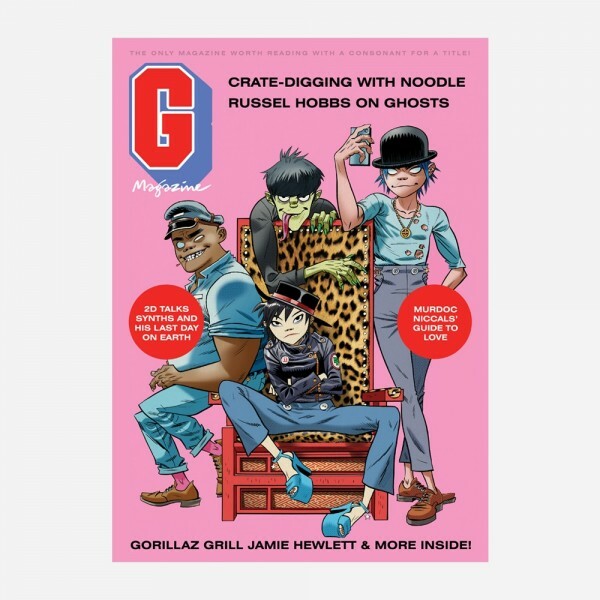 The brand new G Magazine will see 2D talk about his closest friends (his synthesizer collection…); Jamie Hewlett interviewed by the four band members; and Murdoc’s Guide To Love with ‘the sexiest being in the solar system’ reminiscing on affairs of the heart including his first kiss with Kelly O’Driscoll at Tipton silage plant and his perfect date location (a quarry…). G Magazine includes a pull out poster and sticker set. 36 page Magazine A4 297mm x 210mm.